Today on the Heinemann Podcast, we’re making sense of comprehension. Jennifer: I always as a classroom teacher taught in a reading workshop where I devoted a large chunk of time in third grade, it was like 45 minutes of independent reading with conferring and small group instruction. The younger grades, it was a little bit less but a good chunk of time to letting kids read selected books. Ideally books that were appropriate for them, books that they could read with comprehension, accuracy and fluency and the teacher's job was to confer and I just found that it's very hard to have a good conference if you don't know something about what the kid has in their hands. You don't need to know the book or you don't need to have read the book. You need to know some things about children's literature, so levels are sort of a shortcut to get some sense of what's this book going to have in it. Even if I haven't read it myself. So it's that and it's also working with a lot of teachers. A lot of teachers who inherit a classroom library of 500 books and they haven't read any of them, and they're trying to talk to kids about their books. It's me working in a classroom with a kid I've never met, reading a book I've never read and figuring out what they need pretty quickly and teacher saying, how did you do that? And me thinking, how did I do that? What I did was I read a lot of children's books. I studied Fountas and Pinnell. I learned about texts levels and I use that as sort of a crutch to help me through when I haven't read this specific book that the child's reading. I've also seen that there is a lot of power and making sure that we're picking the right strategies to teach kids when we do know levels. So in the reading strategies book, I have the marginal note with a level of range that each strategy is recommended for. The reason I know that is because I've studied texts levels and I want to share that information with teachers too so that they know it. So it's not a secret why strategy 4.16 works with levels L through M. I don't know, that's probably not right. But you know what I mean. I want them to understand, oh yeah, I can see why you would teach this particular strategy for kids reading books around this level. That makes sense, based on what I know about the texts themselves. So, I want to make it accessible. Text complexity can start to feel really complex and I feel like one of the things I hope to do for teachers is to make things feel, doable, make it feel possible. A reader comes to a text and the text comes to the reader and it's through that transaction that meaning is made. So I explore the different things that we need to understand about kids as they come to the book. Things like their background knowledge and their interests and their culture and their language. And then what we can know about texts based on the plots and the characters and the themes and the main ideas and the details, and bring that together to really explain comprehension in a more clear way. Brett: How does this book take what you've done in the reading strategies book and sort of deepen that learning. Jennifer: So in the reading strategies book, there is this hierarchy of goals that sort of forms the backbone of the book. There's chapters for each of the different goals and there's a list of strategies within each chapter. So everything from engagement to print work to fluency to plot and setting two key details and so on. And truthfully, all of those categories are really about making meaning, right? You can't read the print without understanding what's going on in the story you can't read fluently and reflect the characters emotion in a story without understanding what's going on. You can't be engaged unless you really are understanding the story. It all has to do with comprehension and understanding. In this book understanding texts and readers, I take a much deeper dive into those eight categories that are underneath the umbrella of comprehension on that hierarchy. And it really expands upon and deepened set. So in the reading strategies book, if you open up the plot and setting chapter, you'll see, 26 different strategies for helping kids to understand the plot and in the margin there's a level range, I recommended level range. Those level ranges came from my own understanding of what texts have in them. So for example, a strategy that helps kids to retell sequentially across five fingers is going to be most helpful for kids that are reading texts that have a sequential plot. But once texts get more complicated or the plots get more complicated and we see flashbacks and foreshadowing and multiple plot lines, kids need strategies to help them deal with those different aspects of the plot. So I have, in reading strategies, those level ranges called out for teachers so that they can know who it's going to work for and what texts it's going to work for. And understanding texts and readers, I go deeper and help teachers kind of behind the curtain, help them kind of understand how did I know that, right? What is the information I'm bringing to my creation of strategies and bringing to my discussion of comprehension that they can rely on it as well in the reading classroom. Brett: What really jumped out at me as this relationship between length and complexity and how plays into comprehension. How does it do that? How does length and complexity plane a comprehension? 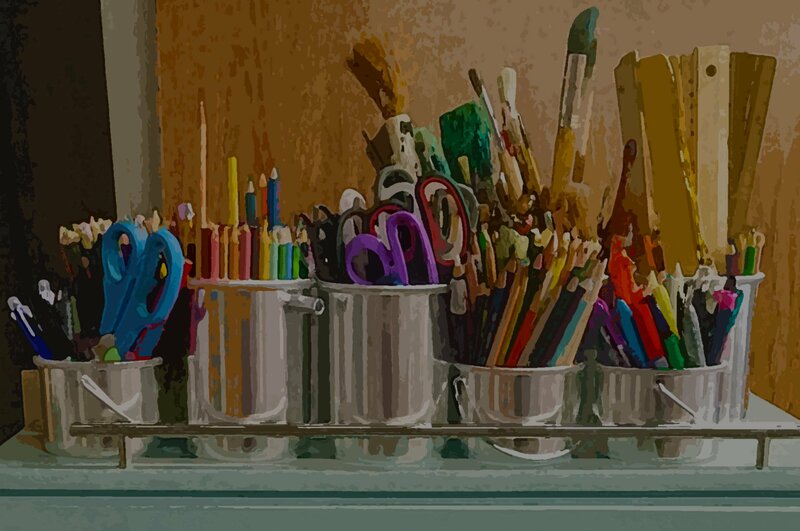 Jennifer: Have these experiences working with kids who on whatever comprehension assessment we'd used seemed to be getting it and then when they were sitting with their independent reading texts that they'd selected themselves, that was a whole work of fiction or a homework of nonfiction. I felt like their comprehension was not all there and so one of the things I started to realize was that the task of reading a short passage, whether it's on a standardized test where you read a short passage and answer multiple choice questions or on a running record assessment, the DRA or the benchmark assessment. We bought this short passage or in the case of the DRA a book that's short form book written for the purpose of that assessment where kids read it out loud and then they have a few comprehension questions. That gives one snapshot of the student's understanding, but when they get to a full length work, whether it's a novel or a nonfiction text that has multiple chapters in it, the work of the readers different. In fiction, you have to synthesize information about a character across a whole story. Sometimes you get introduced to one character early on in the text so you don't meet till several chapters later and you have to remember what the author introduced about that character and bring it back out when you get to later on in the story. You've got, as I said already, multiple plot lines. You've got themes and messages and lessons that are woven throughout the whole entire text. These are things that just can't be assessed in a short text. Like why is it nonfiction, a lot of times when you get into more complicated nonfiction that kids are reading it throughout elementary school. You've got multiple chapters, each chapter has its own main idea with a set of key details. You've got lots of vocabulary and key terms that that all relate to each other. You've got busy pages with multiple texts features that readers need to all put together. How they're doing that just can't be assessed in a short text, and so I think we need to look at kids' comprehension along different kinds of texts and along different kinds of tasks and the way that they're handling short texts and long texts for a certain reader may be very different. And we need to have that whole picture of the reader to really support their comprehension. Brett: You talk about variables that teachers need to consider when matching kids to books and when supporting comprehension. Can you explain more about that? Jennifer: I think that there are a lot of variables that teachers need to consider from the perspective of readers and from texts. So, there's a misconception out there that we give kids a comprehension assessment or reading assessment. And from that assessment will we determined a single level that that child is able to read. All right? It's because they read it with accuracy fluency and with comprehension, check, this child can read at this level. But the truth is it's much more complicated than that. There's a lot of variables that come into play, so variables from the text perspective, like what topic the text deals with, and then from the reader's perspective, what kind of background knowledge they bring to the text. A kid who loves dinosaurs and spends every week at the Museum of natural history can probably read a much harder text with comprehension if it's about dinosaurs. Then a same genre text of the same length and have the same level about a topic that they don't know very much about, things like interest and motivation. The kid really wants to read a book. We might probably can all think of our childhoods where we read a book that was way harder than what we typically read, but because we were motivated to read it because we were interested because it had, I don't know, pure capital, right? Or friends were reading it and we wanted to talk to them about it. We were able to persevere through that book. We adjusted our reading rate, we talked with others, we found a way to read a book that was otherwise too hard. Cultural Relevancy of the text. Right. This is very well established as well. The more relevant a text is to the reader, the more they're going to be able to understand it and probably also in the more they're going to be engaged with it. There's so many variables. Right, and so I think we need to make sure that when we're looking at making reader text matches and helping kids to find books that were not just pigeonholing them to just one kind of book or two, just one level of text that whether we understand the variety of different variables that kids bring to the book and that the books have within them as well. Brett: You're right, use, don't abuse levels and you say that the language that we use around levels is very crucial. Jennifer: I'm not the first person to talk about this and it ends up in a lot of conversation on social media. A lot of blog posts had been written about how you don't say to kids that you're an M reader. It would be very careful not to use labels and levels with referring to children, I totally agree with that. So I suggest in the book some simple shifts that are, can make a really big difference. So instead of saying to a child, you can't read that book, it's not your level. Instead saying something like, that book's going to be a little harder than the books that you tend to choose. So let's figure out a way that you can find some ways to support yourself as you read. Are you going to read it with a friend or you're going to read it with me. I never say to a kid, you can't read that book. That's too easy. It's below your level, right? Instead, I might say something like, you know what? Honestly, I liked to read books sometimes that are a little bit comfortable for me. This is one of those books. Just make sure that across the week you also choose some books where you'll be able to practice work on your reading goal. Having a knowledge of text levels and having a sense of what kids are getting into as they read harder and harder books. I think is really important information for the teacher, but it needs to be that we say things to kids in a way that acknowledges all those variables I talked about before. Right? That kids do not have one level that's, that's incorrect thinking. And even a couple of books at the same level or different. One could be leveled that because the vocabulary is more challenging and another book at that same level might have easier vocabulary but harder themes and concepts that you're dealing with. Brett: Well, let's stick with levels for a little bit because really that is the meat of understanding text and readers. Talk a little bit about how you've organized parts two and three of understanding text and readers around levels the design that you've thought about as you wrote that section and just sort of the level by level guide and then the goals. Jennifer: The book is divided into four parts, part one gives you just sort of an introduction to this challenge that we have as teachers of untangling all the reader variables and the text variables and understanding readers and understanding what comprehension means. I explore the basis of my thinking, the proficient reader research that many people know about from Steph Harvey's work or for mosaic of thought, Ellen Keenan, Susan Zimmerman. I kind of talk about the foundations on which I'm basing my recommendations as a short beginning and then parts two and three are really taking a deep look at fiction for part two and a deep look at nonfiction for part three. And then part four brings all that knowledge into the classroom to inform assessment and teaching, choosing strategies, choosing methods and helping kids that it get set up with goals. So you asked about parts two and three, part two fiction. The first half is a level by level guide and what you're going to see, is a nice spread for every level. From Jay through W and I focused on J through W because I feel like J is the first level where we need really to be looking in a more complex way at comprehension and looking at those goals, plot and setting, character, vocabulary, theme. And I stop at W because by that point kids are well into middle school and I find that kids in x, Y, Z who are reading those levels of texts are a little bit more flexible and fluid. So these are the levels where I really feel like we need to be really focused on levels and really understanding what the texts have in them so we can support readers. So you'll see a level by level guide on a spread that looks at those four different categories and look for is of what to look for in student comprehension. And then you'll see a skill by skill spread. So I'll take plot and setting retelling and you look across a two page spread, how the responses for retailing grow. And then you'll look at a two page spread for understanding cause and effect. And how their responses grow throughout harder and harder books and so on. Same thing for nonfiction level by levels and then skill by skill spreads are really a national trend, has been to get more books into every classroom, which is so important. My classroom libraries for many years now have been very popular and recommendations for getting more and more text into the classroom. Making independent reading a bigger part of the literacy block. Things I can really appreciate and get behind and I've just met a lot of teachers in my travels who say to me, haven't read my whole classroom library. I don't know the books the kids are reading and it becomes even more panic and teachers' voices when you're talking to fourth grade teachers, fifth grade teachers, sixth grade teachers, but I haven't read the books. How do I know if they're getting it? And so I just really want to give teachers something to hang their hat on to say it's okay that you haven't read Freak The Mighty. Although I hope you do because it's a really good book. It's okay you haven't read that book, but here are some things about level W text that are pretty tried and trail so that when you sit down with a child reading Frick The Money you can kind of work your way through the conference. You know what kind of questions to ask, you know what things to expect of their response, you know what a good retailing sounds like, you know what a good character response sounds like because you've got some sense of the level. So that's what I'm hoping people find it, like very practical and something that they can have and reference as they're working with kids. Brett: Why is it so important for teachers to be in regular conversations with children about their reading? Jennifer: Kids are always changing. You've got a kid who suddenly develops a new interest and is all in on a topic and if you're not talking to them, you're going to miss it. Kids read a series and that series can set them up to read other books that are in a similar genre or something by that same author. It's all so fluid and that's why I think that conferring is really the heart of everything, that if you're not meeting with kids regularly to talk to them, see how they make sense of one book versus another book, how they're handling this genre versus that genre even with their attitude is toward reading. You can get. I mean, I even as a reader, as an adult myself, I get into reading funks. I have periods of time where I just can't find a good book and time when I can't get enough reading time and I'm constantly got my nose in a book. And so things changed like that, week to week and so regular conversations with kids helps you understand what they bring to the book, helps you look carefully at the books that they're choosing and helps you think about their, how they're evolving as they comprehend those books. 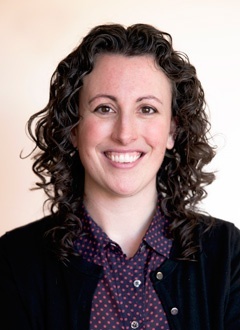 Jennifer Serravallo is the author of New York Times bestseller The Reading Strategies Book as well as other popular Heinemann titles, including The Writing Strategies Book; Teaching Reading in Small Groups; Conferring with Readers; and The Literacy Teacher's Playbook, Grades K–2 and Grades 3–6. Her newest book is Understanding Texts & Readers. She is also the author of the On-Demand Course Teaching Reading in Small Groups: Matching Methods to Purposes where you can watch dozens of videos of Jen teaching in real classrooms and engage with other educators in a self-guided course.